After a late night study session on campus, philosophy major Elizabeth Mathiasen was walking home around midnight when she noticed she was not alone. “I walked faster and even took a different route home and he was still half a block behind me,” she said. Perpetrators such as this, look for opportunities in darker areas, people walking alone and unaware of their surroundings. SF State and the surrounding community have seen a recent spike in strong-arm robberies and property crime over the last three months, according to San Francisco Police Department’s CrimeMaps. According to CrimeMaps, nearly 60 percent of robberies in the last three months were reported as strong-arm robberies, a robbery by force without the use of weapons. Prime spots include the student center, library and dormitories. Other recent spikes in crime include vehicle break-ins, residential burglaries and stolen vehicles, according to SFPD officials. Common items reported stolen are bicycles, laptops, cell phones, MP3 players, wallets and backpacks, according to SF State’s University Police Department website. As for the cause of the uptick in crime around campus, officials did not have a clear explanation. Although SFPD and University Police officials could not explain the spike in crime, the UPD has increased staff levels during times most affected by criminal activity, according to Wasley, though some students have not seen any changes in police presence. There are some students who still feel safe when traveling late at night despite the warnings. Another common crime that has increased are vehicle break-ins. Jim Dudley, criminal justice lecturer at SF State and former SFPD Deputy Chief, was a victim of vehicle break-ins himself. 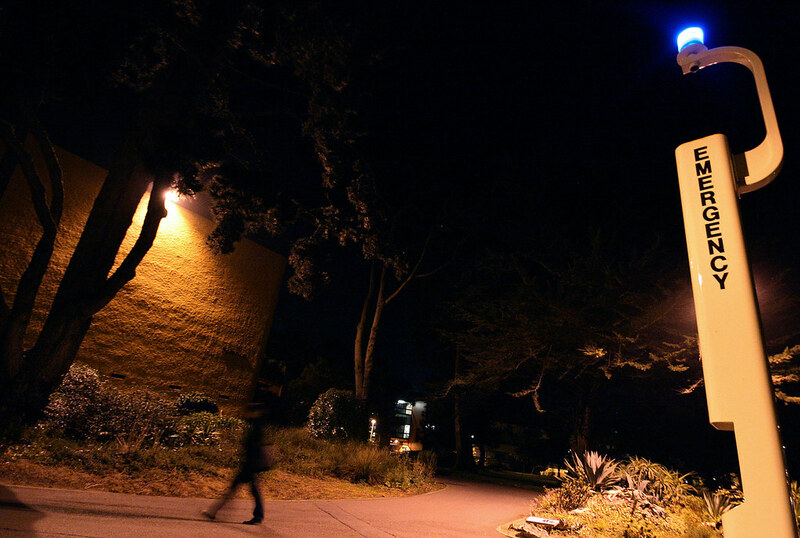 To help reduce crimes and increase personal safety awareness, SF State offers a program known as Campus Alliance for a Risk-free Environment. C.A.R.E. is a student security team employed, trained and supervised by the University Police Department. UPD and SFPD are available when escorts services aren’t and are thoroughly trained to protect the campus community from dangerous situations. “UPD officers are trained in response to violent attacks as well as situations that pose a threat to the campus community,” Parson said. To prevent further theft, Dudley advises everyone to keep their belongings in sight and to keep their heads up.